After launching the Axon 7 earlier this year, ZTE is now gearing up to release a smaller version of that flagship. 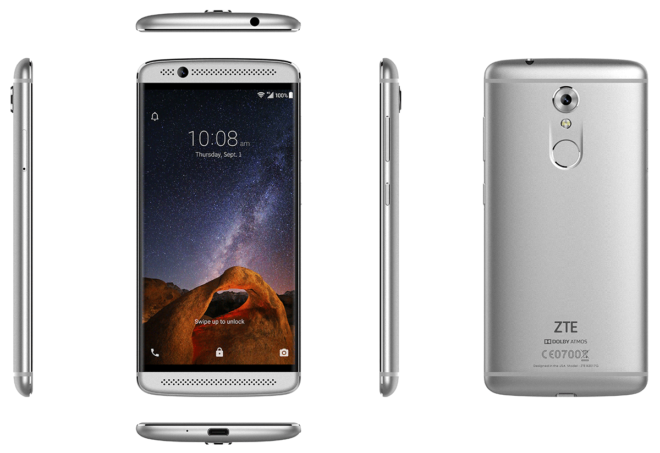 ZTE’s Axon 7 Mini will be available for pre-order starting today for $299.98. An official launch date hasn’t been announced by ZTE, but Best Buy says that the Axon 7 Mini will be released on October 27. The Axon 7 Mini will be offered by Amazon, B&H Photo Video, Best Buy, Newegg, and ZTE itself. The hardware will be available in Platinum Gray and Ion Gold color options, but the gold version will be exclusive to Best Buy for the first 60 days. 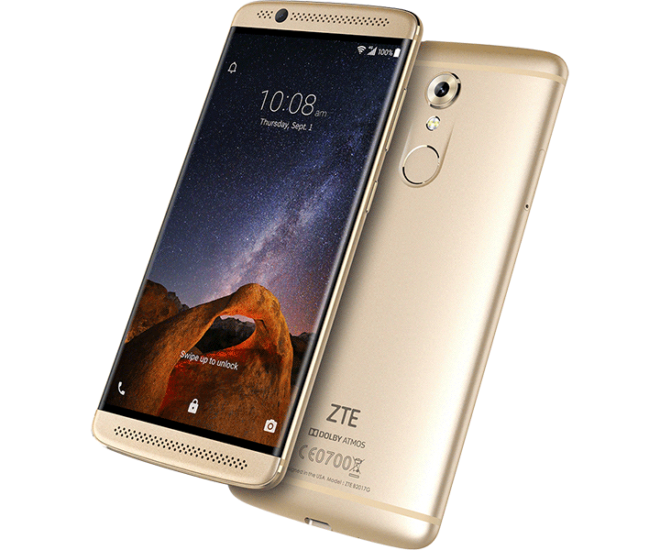 As a refresher, the ZTE Axon 7 Mini runs Android 6.0.1 on a 5.2-inch 1920×1080 AMOLED display, down from the 5.5-inch 2560×1440 screen found on the Axon 7. The Axon 7 Mini also has a 16-megapixel rear camera with a fingerprint reader below it, as well as an 8-megapixel camera and dual speakers on its front. The Axon 7 Mini holds a Snapdragon 617 processor and 3GB of RAM inside of its all-metal body, as well as 32GB of built-in storage and dual SIM slots. If you’d prefer, you can use one of those SIM slots for a microSD card. Rounding out the Axon 7 Mini’s spec list is a 2,705mAh battery with Quick Charge support. The ZTE Axon 7 Mini supports LTE bands 1, 2, 3, 4, 5, 7, 8, 12, 17, 20, 38, 40, and 41 and 2x Carrier Aggregation on B2+B4, B2/4+B12, B2/4+B29, B2/4+B5, B41+B41, B25+B25. When asked about T-Mobile support, ZTE told me that the Axon 7 Mini supports band 12 LTE and VoLTE but not Wi-Fi Calling. Finally, ZTE is including its Axon Passport 2.0 warranty with the Axon 7 Mini. This includes a two-year warranty from defects in materials and workmanship as well as an Advance Exchange feature that’ll have ZTE ship you a replacement Axon 7 Mini in advance of you returning your broken unit. Oh Boi…Oh Boi! a MINI! I feel like Sony’s the only one that can successfully create a mini series for their flagships. Everyone else gimps the battery size, and processor. I saw the Xperia X Compact (4.6″), but I don’t know if it has VoLTE and CA. Thanks for the Carrier Aggregation specs. Does anyone know if the DTEK50 has CA? I believe it has the same chip. A phone with a 5.2″ display is considered a “mini” these days, huh? Considering the small footprint that the 5.5″ screen takes up on most (not the iPhone or Pixel though), this would indeed be considered a mini. I have the iPhone 6s Plus, which I only got because the battery life on the 6s model is subpar. It’s pretty much impossible to use with 1 hand. 5″-5.1″ is my preferred screen size. If it weren’t for tge wasted real estate on the 6s Plus you’d have an easier time of it. Apple has a nearly flawless OS and ecosystem. That’s where the appeal ends, at least for me. I’m a fan of iOS and its ecosystem as well. The bezels on the iPhone could definitely be a bit smaller, though. Ironically, my work phone is an iPhone 6, which is a bit less than my preferred screen size. This, along with the idiotic decision to get rid of the headphone jack, are two reasons I’m most likely going to switch back to Android when time comes to upgrade. That’s because they have a 6 inch Axon 7 “max” coming out soon.. I bought the original axon because this website said the phone supported tmobile WiFi calling and was very surprised when it didn’t, at least there is some honesty coming from zte about this phone. They still supposedly intend to get WiFi calling certified on the Axon 7. I stopped waiting and got a femtocell though. Frankly that works better than WiFi calling ever did, but WFC would be handy while I’m traveling internationally if they ever do get it going. Sounds like they might not even try with the Mini. The ZTE Axon 7 is set to receive T-Mobile Wifi Calling in a future update, which is what was reported on this website. Do you have reception issues at home? If you are a post-paid customer call and ask for an LTE Cellspot, you will be much happier. I have the phone and I do love the phone alot, fast as hell.. smooth, extremely loud.. great design and build, sickening fast finger print login,, I used the wifi calling on mines and it worked, I also used VOLTE and it worked. However I am noticing that the reception is a issue for me, and I have to call ZTE. My S7 edge i get no prob with signal and reception issues and speed test and with the Axon I am struggling and not duplicating the same signal and reception and speed test. Battery life is great though!!! How did you end up enabling VOLTE? I’m trying to turn on the Wifi calling in settings but it won’t stay on. I use it when I’m overseas mostly but at my aunts house which is older I can’t get a signal on the inside. If you’re roaming, choose a different network. In most countries, T-Mobile can roam on all major networks. they have been saying “in the future” about wifi calling long enough. the sun will go supernova in the future, too. Very attractive design. I think this phone will sell well. I take it T-Mobile will not be selling this? This could be a good replacement for my Note 7. And it probably leaks your personal data. How does this relate to T-Mobile? Are they selling these at T-Mobile? T-Mobile doesn’t have a good selection of phones and many here prefer unlocked phones to use with T-Mobile. Maybe the editor could put ‘unlocked’ in the title so some don’t get confused.